West Berkshire Ballet School are back with another of their productions, this time they are performing The Nutcracker. Starting out the month on the 3rd and 4th, they are bringing three separate performances so there will be plenty of opportunities to see the piece. 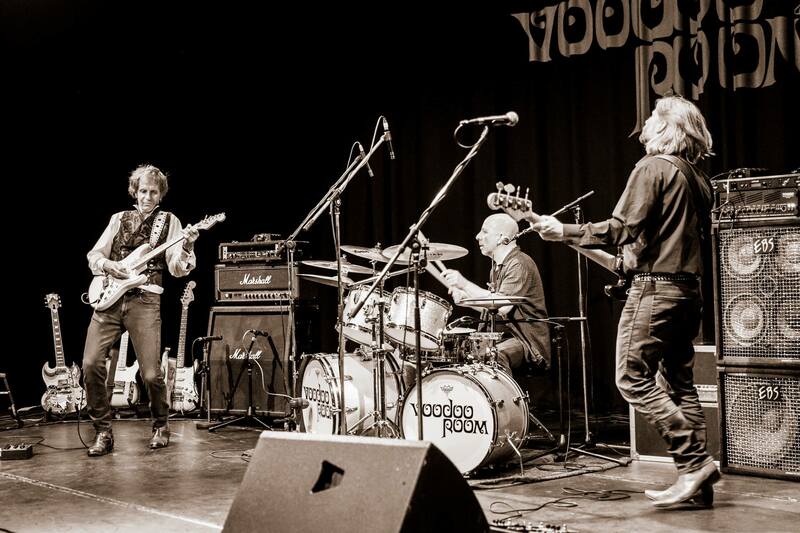 Voodoo Room play tribute to some of the masters of blues with their show A Night of Hendrix and Cream. The power trio present a full on show with all your favourites from Hendrix and Cream, in a way which is worthy of the classic masters. The band don’t want to simply be a tribute but a celebration of music. Ace Dance Company are back again to showcase more of their companies talented dancers. With the recent expansion of ACE to include a new younger company alongside their apprentice company, this year proves to be the start of bigger things. Starlet are celebrating 15 years as a company and their show ‘Ready or Not’ will be showcasing the varied talent within the company. Their shows are here on the 11th June at 1pm and 4pm. Founding member of Thin Lizzy, Eric Bell is here on the 16th. With an illustrious career within the Rock and Blues Genres, which has shows no sign of stopping he is touring again. Something a little different to break up June, Hambone is an interactive character comedy show which cracks open the millennial male mind. If you fancy a change from tradition theatre, this is the show for you. Dance in the Park are back again on the 18th for another show which will bring together different local dance companies. On Friday the 23rd we have Sean Kelly from the hit TV Show Storage Hunters who is taking his stand up comedy show on tour. His show titled Sold Your Way! gives you an insight into the crazy life that he has led, you can even bring something to be auctioned with proceeds going to Help for Heroes. The Box Film Festival are back with a new collection of short films from independent film makers. This year the films are split under two categories, UK and Local, ready to be judged for The Box Short Film Competition. Big Beat Little Feet continues with Mrs H’s Sing-a-long Band coming to entertain the children for a couple of hours. Sunday the 25h is the date you need, let all the family know as this is an event for you. Mrs H and the sing-a-long band create and perform music which everyone can sing along to, through the bringing together of elements from different musical genres. NewGrass Cutters round off the month on the 30th with their bluegrass sound. The four piece all sing within their own styles which make for killer harmonies, combined with their eclectic mix of instruments. Their shows prove to be high energy, high tempo and feel good. Tickets are available online at www.arlingtonarts.co.uk or you can call our Box Office on 01635 244246. For access or disabled tickets please call our Box Office.